Seeing thin (usually white or grey) lines around elements of your PDF? They are probably regions in your PDF which have been flattened in making a PDF/X-3 file. The edges of these regions are sometimes visible in Acrobat and other PDF Viewers, but most likely will not print with the white lines. 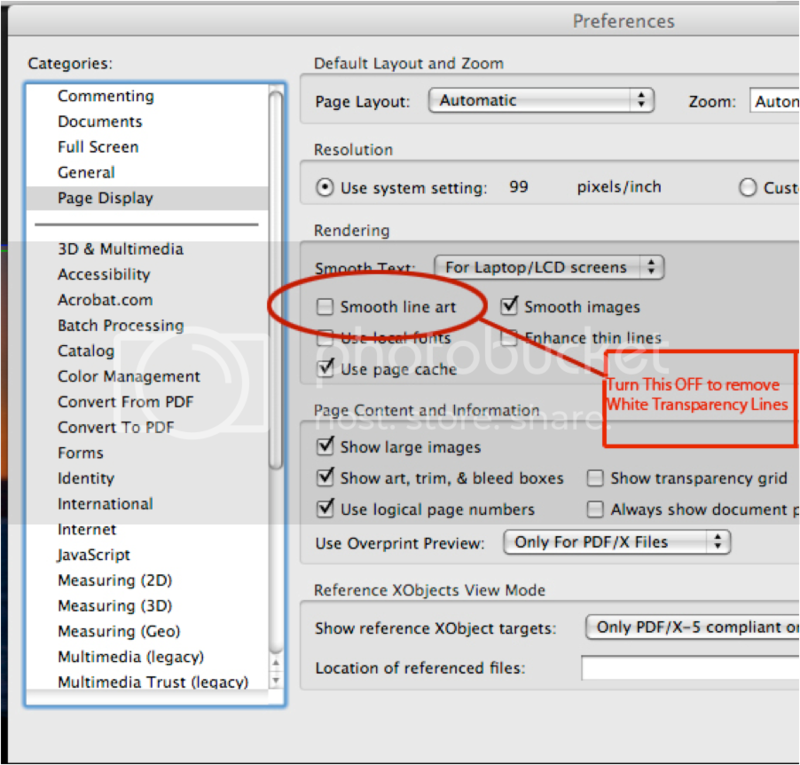 If you turn OFF "Smooth Line Art" in Acrobat Preferences the lines should disappear. (If the lines do not disappear when this option is OFF they may appear in the printed book).